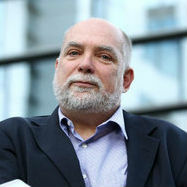 Thomas Wieser, the EU official who runs preparations for Eurogroup meetings, hopes Greece will be able to tap international markets for money between autumn this year and spring 2018, he told ORF radio on Saturday.Euro zone governments threw Greece another 11th-hour credit lifeline on Thursday worth $9.5 billion and sketched new detail on possible debt relief as the IMF finally offered to help out after two years of hesitation, Reuters reported. The 8.5 billion euros ($9.51 billion) of loans from the euro zone´s 18 other states lets Athens avoid defaulting on bailout repayments next month and recognizes unpopular cuts and reforms the left-wing government has made. Wieser said in an interview broadcast on Saturday it was up to the Greek government to work towards attracting money that did not come from other European taxpayers. "It is my hope that it will happen from autumn 2017 or spring 2018 that foreign investors will lend their money to Greece," Wieser said. He added he was certain that such debt would be bought with a risk mark-up and at short maturities.